All genres - pop, folk, blues, rock, R&B, singer/songwriter, classical, world, etc. Born in Cali, Colombia on April 1979, I began my musical endeavors studying the piano at the age of 6. Early on I had the opportunity to play percussion in the school symphony while at the same time developed an intense interest in the instrument that would become my true love, the guitar. Private and group music lessons for guitar, piano, recording, ear training, composition, Logic Pro, bass guitar. I thoroughly enjoyed my first session with Edwin and look forward to the next. He's an excellent and patient teacher. He was patient and went right to the new techniques I was looking to do. thank you edwin . I learned A lot see you next time. delaney!!!!!!! Thanks for your patience. Delaney really enjoyed her lesson. My instructor was so patient, encouraging and clear in his instruction. I would definitely recommend him to others. Great lesson.challenging but encouraging. I love that Edwin gave me different ways to meet some finger limitations. Better yet, he showed me Thathe limitation didn’t exist with a little practice. Edwin is a pro and very good at explaining things in a simple way. He has has a calm demeanor which helps with the learning process. He awesome! Edwin is calm, patient, and insightful. I have found his tips and instruction to be very valuable! Edwin helped me meet my goals and more in the first session. He provided just the right amount of challenge and encouragement that I needed in my learning to play the ukulele. He also provided information on apps that support my independent learning. Edwin is absolutely the best! I am very grateful to have Edwin as my teacher! Edwin keyed into where I was at in terms of musical knowledge, answered my questions with patience, taught me a great deal in just one hour and is professional. Highly recommend him. Edwin is a awesome music teacher. Well knowledgable of music and knows how to play all the different genres of music. I would definitely recommend him to anyone who wants to learn how to play some good music. Edwin is a great teacher! I like his technique of teaching. He finds the way to work with your level, and he also looks for different ways to transmit the information. He makes sure you understand, and that you are motivated. Thank you very much! I feel I have advanced a lot since my first class, and I'm looking forward to keep learning! Edwin is knowledgeable, talented, good-humored, and most important of all: VERY patient. I started with zero knowledge of acoustic guitar and Edwin has steadily built up my confidence and challenged me to grow. He’s always flexible and works with you and your musical tastes to make sure you stay motivated. I’ve been working with him for almost a year now and I can’t recommend him enough! I've been taking boogie woogie piano lessons with Edwin for a couple of years now. I have little talent but Edwin has always been patient and encouraging. He is an excellent musician and seems to be able to figure out the most obscure sequences from recordings which is important because a lot of this stuff isn't written down. Plus he's willing to take an unconventional approach as normal teaching methods don't seem to work on me. I highly recommend him. Edwin is extremely knowledgeable in teaching. Edwin has been great. I have been taking lessons for the last 3 years, and my lesson days are my best days of the week. He has balanced playing songs I practice with improvising and figuring out chords and picking patterns from songs we listen to at the lesson. He is patient and very kind. He also has awesome technique. I am so glad I found Edwin on line. I live only one mile from him. I just turned 80 and wanted to learn an instrument. Edwin is so patient in understanding I might be a bit of a slow learner. I will recommend Edwin to anyone interested in learning or inproving their skills with any string instrument. Edwin is very knowledgeable about music. He is a very adaptive to players of all skill sets and have guided me though the basics when I was once a beginner. He provides insight to the difficult questions that I come across over the years of playing guitar. He especially helped me understand music in a much larger scale. Overall, he is a well rounded teacher that is patient and supportive with his students. Edwin is very kind, patient and encouraging! This was my first lesson, it was an hour long and he could tell when I was struggling with a specific segment of instruction and had me try something different that allowed me to keep moving forward. I'm looking forward to continuing to learn from him! Edwin was a professional and patient teacher. He took time to correct my technique and sent me home w/ things to practice. Two thumbs up! Edwin quickly found where I needed the most help (strumming patterns), and within minutes was guiding me through progressions to help me make progress. He also gave me some lessons on notation and helped me write some progressions down so that I could practice between now and our next lesson. He listened to my goals and taught in a way that will help me meet them. Keeps the lesson moving and is very positive with feedback. Good Instructor, Taught Me Alot About Tuning and The Names Of The Strings. Loved working with Edwin. Looking forward to more lessons with him. My daughter enjoy very much learning with Edwin, he is encourage, charismatic and patience Teacher who makes fun to learn for his students,,, clearly He love his job!! Very pleased with Edwin. He took thel time to listen and get to know me before we got started. Easy to learn from and very patient teacher. Looking forward to my next lesson. Today was my husband and I first lesson with our teacher Ewind Itoh. He is very patient and has good teaching experience to guide us, and listen to us what we want to acomplish our dream for learning Piano and Ukulele. We were searching teacher for long time, now we are happy to ready to learn from him. Edwin is Awesome!! And he was wonderful with my 5 year old. My son was a tad shy at first, but he warmed up pretty quickly. I was actually surprised he was using the pick by the time class was over! It went so well, we decided to book class twice a week instead of just once. :) We're looking forward to the next class. Thank you, Edwin! Edwin is very patient and an excellent teacher. He provides a good structure that helps my developing my skills. It's great working with him. Edwin is just so patient and encouraging. If I'm struggling with something, he gives me different exercises to help me with it. He's an awesome instructor and Payton and I are really enjoying our lessons. I left a review as many have done at the beginning of my lessons on the site's request. I studied with Edwin for about two years through Skype, and wanted to evaluate the experience after it was completed. Edwin was a very polite and skilled teacher. He taught me many new techniques and different styles of jazz guitar that stick with me still, and which I use every day in my playing. I recommend him to anyone wanting to learn more about playing jazz guitar. My 13 year old daughter, Payton, and I enjoyed our first lesson tremendously! Edwin was so patient with both of us and explained things thoroughly yet simply enough that someone with zero experience, such as myself, wasn't overwhelmed. He politely corrected or pointed out our mistakes while letting us try to figure it out on our own. He was kind enough to let me take notes and repeat himself on an instruction if necessary. We're both already encouraged and looking forward to our next lesson next week. I would highly recommend Edwin to anyone any age regardless of their experience. Edwin very quickly identifies where you need help and sets you in the right direction using a friendly approach. Edwin is seriously the best! You will not regret learning music from this professional musician! Great start! Looking forward to the next! Edwin inspires, challenges, and encourages. My son couldn't be more excited about the instruction he is receiving. Thank you, Edwin! Edwin was very patient with my daughter. He had to start from basics as she was not sure of her self. He took his time and went over the piano keys. He is very patient and is able to adjust to the student's needs with different instruments. He's very flexible with scheduling. Definitely recommend! Have been taking lesson from Edwin for about a month. He has really helped me adjust to learning an instrument without any musical experience at all. Patience of a saint, really knows what he is doing. He has come up with a way to teach me at my own pace and level of understanding, yet ever so slightly helps push me to the next lesson. My confidence stays high! I can not recommend Edwin enough, his style of helping me learn is top notch. Our son is 12 years old and loves music but has never really played an instrument. His first Acoustic Guitar lesson with Edwin was great. Edwin is patient and so positive with an obvious love for teaching. Our son left very excited and practiced for a bit when he got home! Thank you Edwin! Very patient and kind person. And a great communicator. A great fit for my 10-year-old son. So glad we chose Edwin. For the first lesson, I couldn't have asked for much more. Edwin could pick up on what I knew and where to start with me, You can tell he has a wonderful mastery of music and convey what he's thinking so that you can understand it. Edwin is amazing. My 5 year old is pretty distracted and stubborn. Edwin made the lesson very fun for him and he actually learned a lot in the short lesson. He was very patient. He taught him not only the instrument itself but started teaching him some rhythm and music theory as well. As soon as my son matures a little more and is ready for lessons we will definitely pick Edwin! He was really patient with my reluctant 5 year old. He was happy to play special songs for him to get him interested in the instrument and the lesson. Edwin is very patient, especially when I had technical difficulties. He provided the information I needed and walked me through the process efficiently. I got a lot out of the lesson. First lesson-Edwin was easy to follow, friendly, and patient. Online seems to work good at this level. Edwin is very kind and patient. He has great attention for detail and will give gentle instruction on how to make adjustments to improve your guitar playing. Edwin is a natural when it comes to music. He can hear a complicated song and know what chords/rhythm to play. He is also very knowledgeable about music theory and the technical aspects of guitar playing. I highly recommend him as a teacher. Edwin is extremely patient and good natured. His knowledge of music and his ear for chords is amazing. I am a beginner and within a few lessons I am playing full songs from major bands. I couldn't be happier with Edwin and will be working with him for a long time. Edwin has been teaching my 10 year old daughter for a year. He is sooo patient. It is nice that he asks her what songs she would like to learn and it allows her to have a say in what she plays! He is a great teacher!! I've always wanted to learn guitar and have had one lying around for awhile. I've been on youtube to try to learn some basics, but it was great to finally get some real feedback and pointers. Edwin was very patient and helped me get some basic rhythms down. Now I've got some specific stuff to work on til my next lesson. The live 1-on-1 lessons with awesome TakeLessons teachers are a must if you are serious about learning properly! Edwin has been teaching my son Ethan guitar for about a year and have nothing but great things to say! My son looks forward to every lesson and it's amazing how much he's progressed. Edwin is so patient and really make the lessons fun by using real songs that my son knows and enjoys playing while mixing in skill practice. He communicates very well and couldn't be more dependable. He has our highest recommendation! Edwin is able to teach some of the most unusual jazz progressions step by step. I look forward to applying some of the new harmonic patterns I learn to my songs. Edwin was effective in answering any question I had about playing the piano. He was able to tailor his teaching to my individual needs as a student. Really good! Edwin was very patient, despite my lack of knowledge (and rusty english). I learned lots of stuff in so little time. I had a great beginner piano lesson with Edwin. 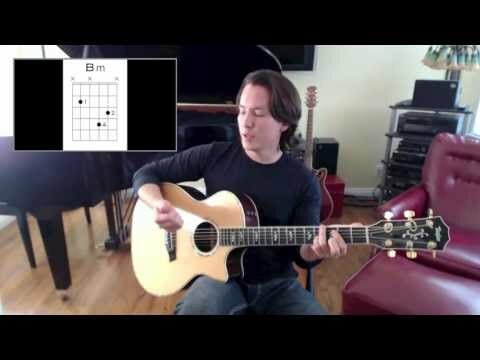 I knew a couple of songs already from watching others play but I wanted to dive a little deeper into how chords were structured and how to more easily figure out new songs. 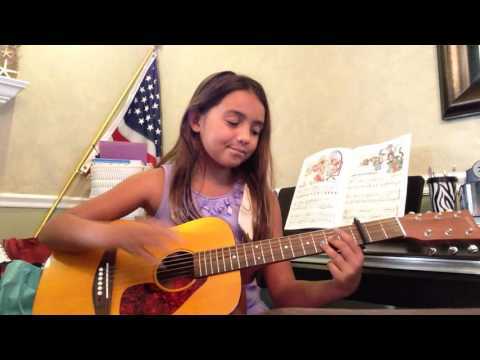 We covered major scales, arpeggios, minor chords, and inversions. He was very helpful and gave me some great exercises to help me remember how it all fits together. Thanks Edwin, highly recommended! As a beginner to guitar lessons and to studying music in general, I assumed I would use the guitar for my first ear training session. Edwin quickly explained why using a piano would be much more helpful for someone just starting out. I hummed along with the keys to try to match pitch, and he even gave me a helpful tip to identify half notes, full notes, and octaves- I think I'm going to have the Jaws Theme stuck in my head the rest of the day! Edwin was professional, friendly, and patient. When I answered one of his questions incorrectly, he SHOWED me the difference between my answer and the correct one. That helped me get it right the next time he asked! Had a lesson with Edwin and he was patient and very knowledgeable about what I needed to learn! Would definitely work with him again and recommend to others! Edwin is excellent - patient, attentive, using material that is interesting to both my 8 and 10 year old. Very talented ! Edwin was awesome! He taught me how to do some rythms and too keep a good consistant beat. I couldn't have been more stoked on my first lesson with Edwin! I've never done a live online lesson of any kind before, so I wasn't really sure what to expect, but to be perfectly honest I was kinda blown away at how easy it all was and how much I was able to get out of a single 30 minute lesson. I've been playing the guitar for years and have always been able to hear what works with different chords, but with no formal music theory education I could never really put my finger on why certain chords sound better together. I also had no idea how to pick chords that work well so I can form my own chord progressions as the basis for my own songs. Edwin asked for my background and then with only 30 minutes to spare got right down to business and helped provide me with a simple, yet powerful framework to build chord progressions that I can literally put to use today! He even had me grab my guitar and I started playing through chord progressions that I came up with in literally under a minute. To be honest one of my main concerns was that as a self taught guitarist I'd have to go through the process of learning some dry theory before I'd get anything out of a songwriting lesson... but I was totally wrong. I left with actionable learnings that I'm excited to start using. One of the coolest things is that I could take my time and play with what I learned for a week or so, and then as I played and came up with new questions I could easily schedule another Helpout with Edwin to get all my questions answered. No commitment... and all on my own schedule when I was ready to learn more. I was also surprised by how quickly my lesson went and how naturally it flowed. 30 minutes went by in a flash, but it was a great way to feel things out and see if I liked it, which I did! I know I could easily fill a 60 minute lesson with Edwin as I could just feel new and exciting questions pop up in my mind as we continued through the lesson. Very helpful! Great teacher, very patient, with great knowledge of the instrument and general musical theory and very practical insight. Cheers! Edwin is a great teacher. He was very patient and encouraging from the start. He has a great knowledge of different styles of music and from day one i was already learning some of my favorite songs that before i could only dream of playing. He breaks down the structure of the song very well so that i can understand what im playing which made the learning stress-free. Would highly recommend to all ages and experience! Edwin was able to assess quickly my abilities and background, and offered helpful studies for me to practice right from the beginning. A great teacher! Edwin is an Awesome Guitar Teacher !! Edwin is really great and nice as a teacher. He has great skills in understanding what we know and what we want, and he teaches to the potential with much patience. His music ability is excellent and motivates us to learn more. He is pleasant and makes us feel much comfortable while learning. I started of to learn guitar with zero music knowledge and in no time Edwin made me feel confident about what I learn and what I could. This guy is a pretty amazing teacher, knows his theory and can easily help you learn the fundamentals of the instrument through the upper levels. Edwin's style is especially suited to anyone trying to learn to improv from either an intuitive or theoretical viewpoint. Edwin was a great teacher. He was very patient and knew the guitar well enough to teach an adult who knew nothing. I have recommended my friends and their kids. devote to learning. Look forward to many more lessons. My husband and I took joint guitar lessons with Edwin for several months. He was outstanding! He is extremely musically literate, he can hear chords of songs you want to learn just by ear and teach them to you, he is patient and calm, he is smart and savvy, and list goes on. Our playing ability improved tremendously and Edwin always wrote out charts for us at the end of the lesson to practice in between sessions. I would highly recommend Edwin for any level of skill and any age of student. He even came to our home so we could study in the comfort of our own living room. Loved it! Thanks Edwin!!! Great teacher! An impressive combination of patience, experience and knowledge! Our son Ukki, age 7 years has been learning both piano (almost 6 months) and guitar (about a month) from Edwin. We couldnt be happier. Not only does Edwin have great technical knowledge about the music he teaches, he also has the skills to keep a 7 year old interested and involved in the music he is learning for two hours at a stretch. He is very patient and aware of how to maximise a child's learning without creating any stress at all. Ukki looks forward to his back to back piano and guitar classes every week! We highly recommend Edwin for both piano and guitar. Hard to find a teacher like him. I thoroughly enjoy my time with Edwin. He has a unique way of teaching an adult. He is patient and understanding of my needs. I am happy to have found him. I continue to progress above even my own expectations. I now enjoy to practice and look forward to every hour-long lesson. He is teaching me to play my favorite songs. Edwin I. is a great teacher. He focuses on what you want to learn as opposed to drilling music theory and scales. While these are very important, primarily focusing on them could make it easy to lose interest in playing the instrument.